Vaccines are like seat belts. You don't need them until you need them. You buckle up when you're driving because even though on any given day the odds of getting into an accident are low, they are not zero. When you finally have that collision you're glad that you had your seat belt fastened. Vaccines are the immunological equivalent of wearing a seat belt. By inducing neutralizing antibodies against viruses and bacteria, they lessen the likelihood that we and our pets will get sick (and even die) if we "collide" with an infectious disease. "Vaccines are the immunological equivalent of wearing a seat belt. By inducing neutralizing antibodies against viruses and bacteria, they lessen the likelihood that we and our pets will get sick (and even die) if we "collide" with an infectious disease". 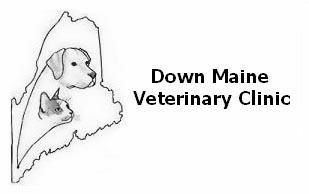 In our practice, nearly all clients seem to know about and understand the value of vaccinating their dogs against "Distemper": AKA DHPP (which stands for Distemper virus, Hepatitis virus, Parainfluenza virus and Parvovirus) and of course Rabies. However, many clients opt out of getting their dogs vaccinated against Canine Bronchitis (Bordetella), Lyme Disease (Borrellia Burgdorferi) and Leptospirosis. Today I'd like to specifically discuss Leptospirosis. Anyone who's pet has had a puppy visit or annual exam with me has heard me talk about "lepto". It is the bacterial disease that is spread in wildlife urine. When discussing Lepto, I am careful to explain that the term "wildlife" does not necessarily refer to creatures encountered in the wilderness. It can mean those that frequent our backyards such as squirrels raiding bird feeders or skunks and raccoons that prowl through neighborhoods at night seeking trash. Dogs, curious and with keen noses, inhabit an entire universe of smell that we as humans are oblivious too. When a dog gets whiff of wildlife pee in the yard, she's going to check it out. They also drink out of puddles after rain storms that can be a source of Lepto. If a dog contracts this disease, it causes a severe and life-threatening kidney infection. It also can infect the liver and nervous system. Treatment is expensive and sometimes not successful. whereas dogs properly vaccinated against the disease have immunity and are not likely to get sick if exposed. I live right in the center of town where there is no wildlife. I have a little lap dog that isn't very outdoorsy. I hear that vaccine makes dogs sore. I don't want my dog to be sore. The dog breeder I got my puppy from told me I shouldn't get that vaccine. I don't want to spend the money on that vaccine. Leptospirosis? You vets just made that disease up so you can charge me for a shot my pet doesn't need! "Few things are more upsetting than having a pet get sick and die from a preventable disease"
At past annual visits her owner had opted not to vaccinate for Leptospirosis. She lived with her owner in an apartment right in the center of their town. She was a little lap dog who was not "outdoorsy" and spent most of her time indoors. She only went for short walks outside the apartment building to pee and poop and then went right back indoors. Obviously by writing this I am trying to encourage a higher rate of vaccination against Leptospirosis and other preventable diseases. Our motivation as vets, vet techs and pet owners is to prevent animal suffering and death. Few things are more upsetting than having a pet get sick and die from a preventable disease. A day or too of soreness and lethargy seems a small price to pay for immunity to a life-threatening disease. If your pet is sore after a shot, call us. We'd be glad to recommend a dose of baby aspirin or have you pick up a script to make your pet feel better. If you're of the mindset that Lepto is "something we vets made up to make money" then perhaps you'll be convinced by the Center for Disease Control (CDC). Click here to visit the CDC webpage on Leptospirosis.